Transitory Nature, is a PowerPoint Animations depiciting the coexistence of nature and human. Is nature ever-lasting? Find out more in Transitory Nature. Watch a cat while he journeys through the land seeking for the legendary flower. Touhou Project is a Japanese dōjin game series focused on bullet hell shooters. Drawn entirely in PowerPoint by Zzangdol, this is the artwork that made it up on 9GAG hot page. Nitori Kawashiro from Touhou Project. She is a very shy Kappa who lives on the Youkai Mountain. Cirno is an ice fairy from Touhou Project. Featuring various characters artworks from Toaru Majutsu no Indekkusu and Toaru Kagaku no Railgun, such as Tōma Kamijō and Misaka Mikoto. Ranka Lee from the anime, Macross Frontier. A lively oil-painting style animated pond and koi. Lynette Bishop from Strike Witches. Watch her nyan nyan! Pure is a PowerPoint showcase depicting minimalist art consisting of simple yet elegant animations and art combinations. A sophisticated artwork and animation on Batman. Featuring Auto Shapes Design, taking PowerPoint to its limit. 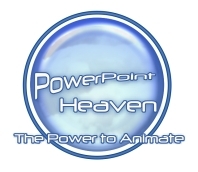 Here, you will see amazing features in PowerPoint and how simple AutoShapes become amazing masterpiece. Follow through the origami work to learn how to fold your own puppy, snake, pigeon and many more origamis. Animated Blackout character from Transformers. Mixmaster from Transformers, which tranforms into a concrete mixer truck. Optimus Prime from Transformers, the leader of the Autobots, a faction of transforming robots from the planet Cybertron. Rampage from Transformers. Featuring Rampage transforming animation.